PURITY Brewing Company from Morton Bagot near Studley has racked up five medals at the 2018 International Beer Challenge (IBC). The IBC rewards and promotes excellent brews from around the world, providing brewers with a platform to showcase their beers amongst 30 different countries across more than 70 categories. Staying true to its name, Purity’s Pure Gold took Gold in the British-style Golden Ales (4.1–5 per cent) category, with Longhorn IPA, Lawless Lager and Mad Goose awarded Silver in the New World-style IPAs, Pale Lagers, and the British-style Pale Ales and Bitters categories respectively. Saddle Black, the brewer’s unfiltered hoppy black beer took Bronze in the Black Ale & Black IPA category to round off the haul. Purity MD Paul Halsey said: “It’s absolutely fantastic to see such a wide range of our beers picking up medals at this year’s challenge and we are especially proud to see Gold still winning competitions like these after a decade. 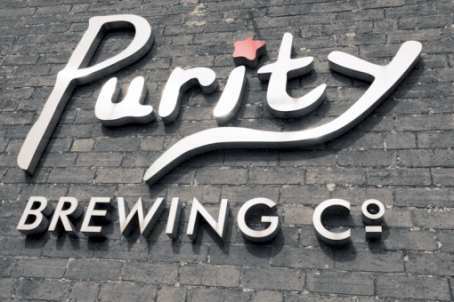 For more about Purity Brewing Company, visit www.puritybrewing.com.